“For a very long time I’ve been experiencing shoulder pain. Previous therapies gave me temporary relief but I was looking for something that would help me to get rid of the pain once and for all. I’ve heard about Isobel’s work through recommendation from my friend and I decided to give Shiatsu a try. Isobel’s Shiatsu treatment was surprisingly gentle, but let me tell you – extremely effective! While Isobel was working, I experienced a cold feeling in my stomach, and it stayed there for about a day after the treatment. Then I became aware that my digestion had improved and I was much more comfortable. “My 8 year old son has been struggling with bullying at school for the past 4 years. His confidence has been hit hard, he was falling behind in school, always angry at home, weepy and even not being able to sleep in his own bed. Isobel talked through what was happening at school with him and how it made him feel. She got him to open up and voice his emotions using EFT techniques. It’s not just her techniques that make Isobel get the results, but it’s her warm and loving persona. We are now 3 months on and every night he comes to me wanting to do tapping as it has really helped him manage his emotions and made a difference in how he deals with bullying at school. He is more confident, happy, enjoying school again and excelling in class. “I came to Isobel suffering several issues including anxiety, stress, work/relationship upset and past trauma. Having spent 8 years gradually avoiding tubes, flying, trains, even boats were a problem! I am talking chronic stress! Avoiding them meant buses and cabs. 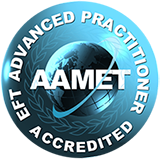 Within two sessions of EFT, I started using the overground and some Tubes. I even made a trip to Horsham. I did the EFT the morning before the train and I had no anxiety at all on my journey. My friends have seen a huge difference and have been saying how proud they are! I am now getting on Tubes and trains regularly….incredible changes! EFT is such a simple but powerful technique that we can use anywhere, for pretty much anything! It’s a magical tool.